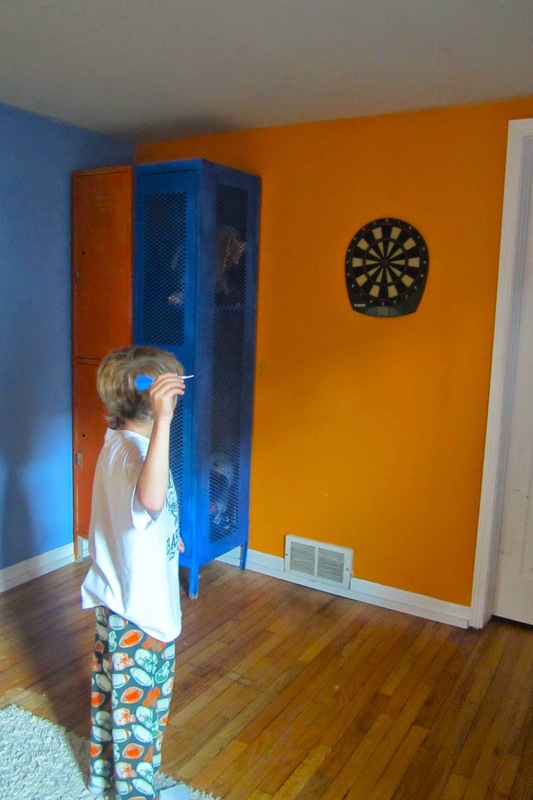 My kids play a lot of sports and have a lot of equipment. And since I am not the most organized mother-person, I have been looking for some sort of storage situation to help keep up with all the equipment. Last week, I found it-- old-school lockers! We looked on Craig's List for lockers to put in the basement. We found some that were perfect, or so we thought. Tim drove out to get them, but they were too big. We looked again online and so many of them were very expensive. 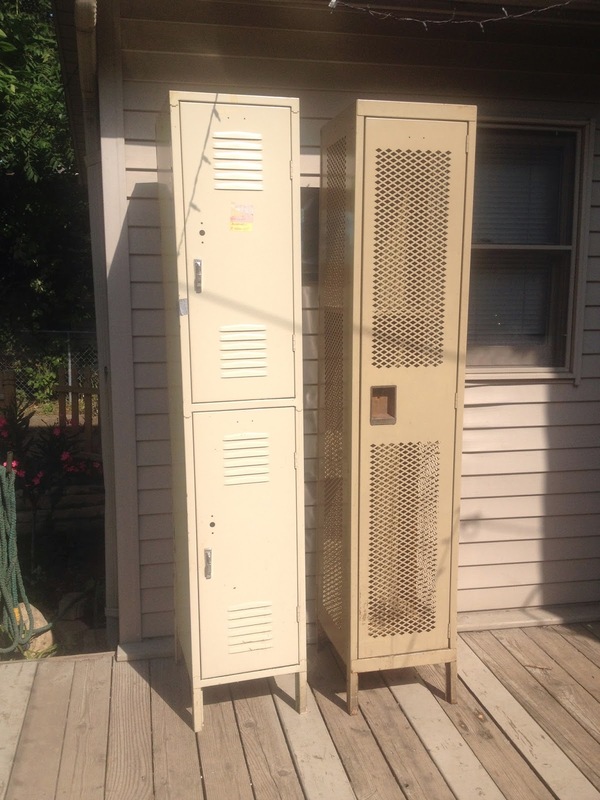 We thought about going back and buying the too-big lockers as an investment (you know, clean them up and sell them online). But we didn't. Instead my brother-in-law heard me talking about our storage situation and locker disspointment and said he had some lockers we could have. For free! What?! Awesome. 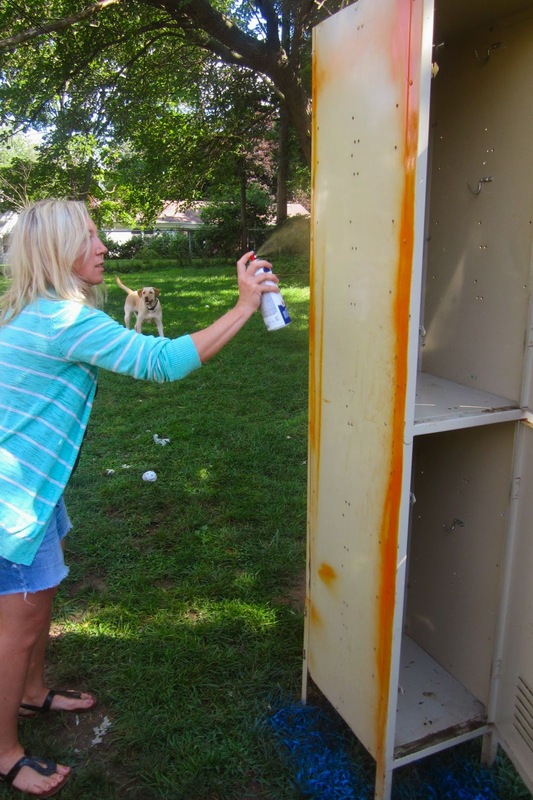 For this week's Pinterest Poser Challenge* I attempt to fix our storage situation and spruce up some lockers for the kids' room. *In an attempt at not being a Pinterest Poser,** every week I attempt and detail a project/idea/recipe inspired by Pinterest. 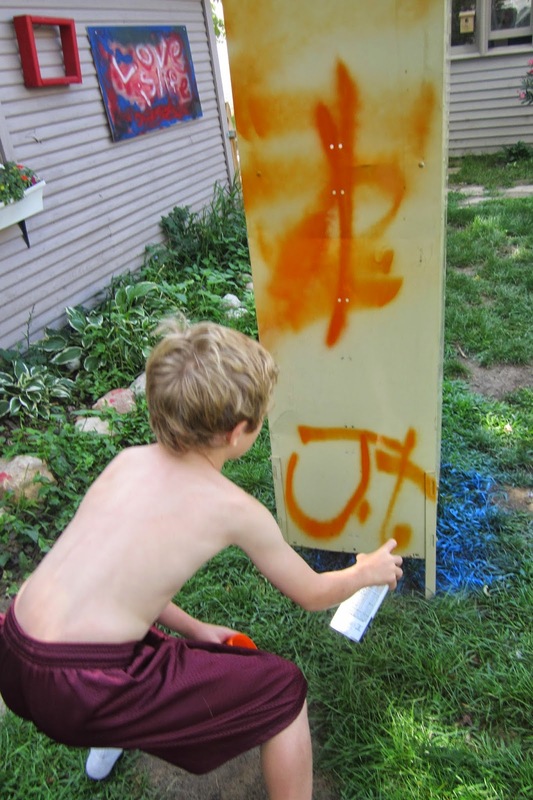 Tim picked up the lockers and bought some spray paint on the way home. My love of spray paint has been well-documented here and here and here. I think it is such a fun, inexpensive way to make anything looke better. After the paint dried, it was time to move them inside. I think a good counseling exercise for marriage would be moving furniture. It takes a lot of patience and communication. And a sense of humor. I think I said "Pivot!" 15 times going up the stairs, referencing the old Friends episode. Remember that one? Click here to watch it again. 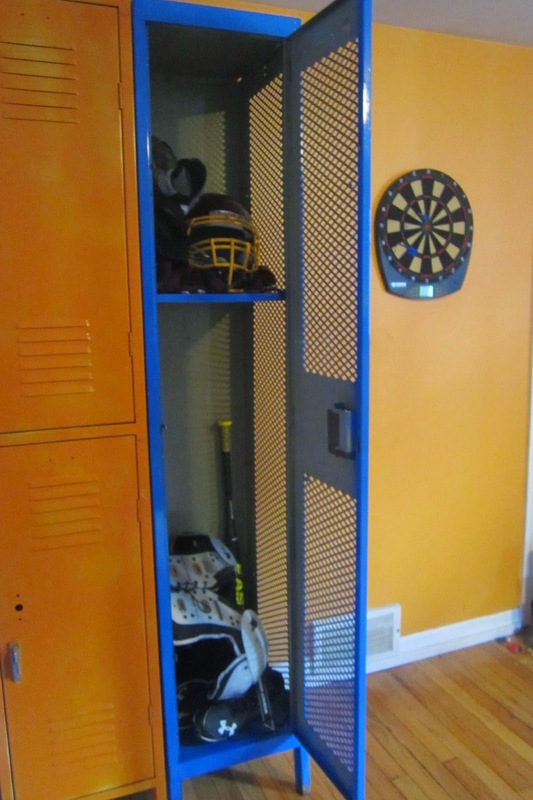 I am so happy with how the lockers turned out that there's no way we could put them in our ugly, unfinished basement. We took them directly to the boys'room. The kids started putting their equipment in immediately. The paint job isn't perfect, but I don't do perfect. Yeah, I know it might get smelly, but with three boys sharing a room it kind of already smells anyway. This hangs on their wall. We had it done this summer, I think it is fabulous. 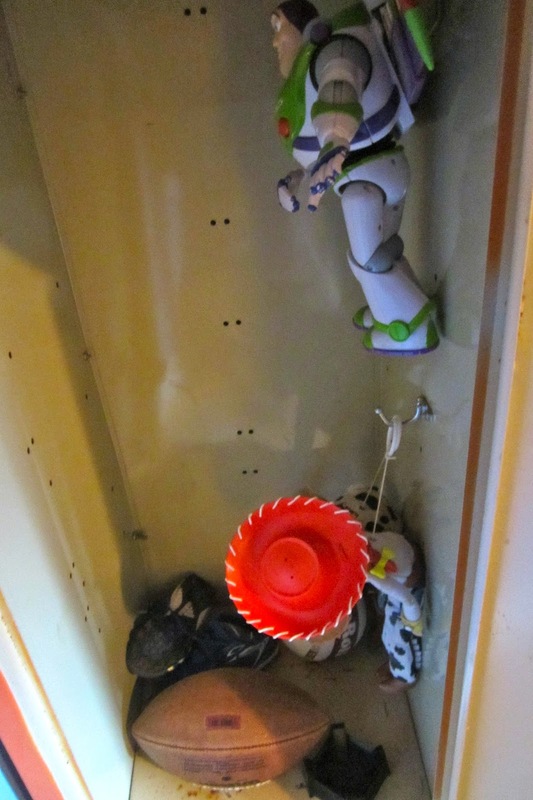 When we said put all your important stuff in the lockers, Wade put Woody, Buzz and Jessie inside (and a football). I love that he is four years old. Storage situation fixed, at least for sports equipment. Now on the hunt for something to help me manage/organize/contain all the school papers/homework/equipment. Come on over and follow my boards on Pinterest. Here are a few projects that I've tried. 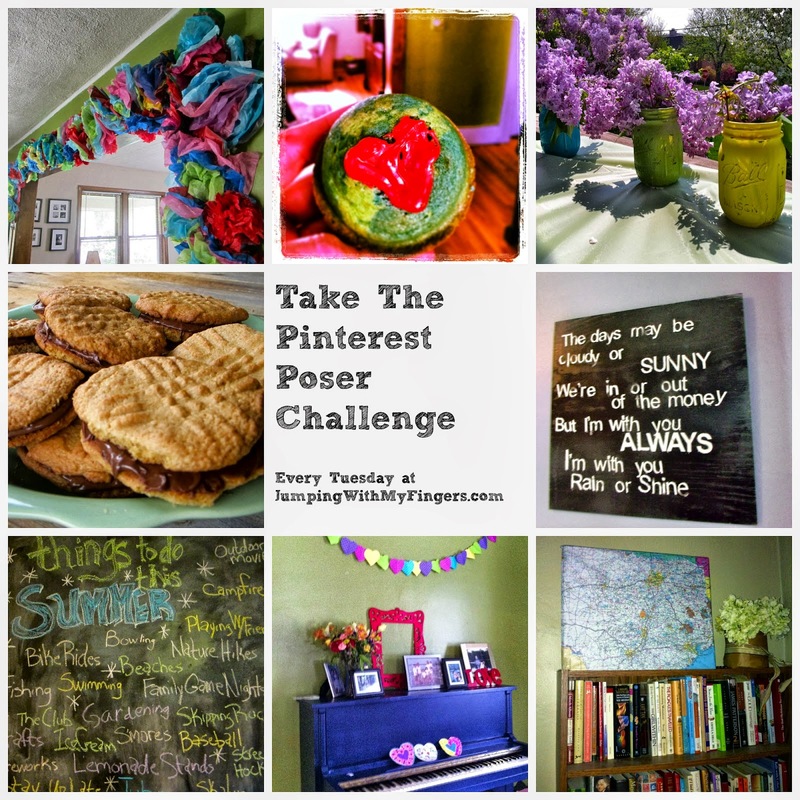 Have you made anything inspired by Pinterest? Tell us about them in the comments or on my Facebook page. 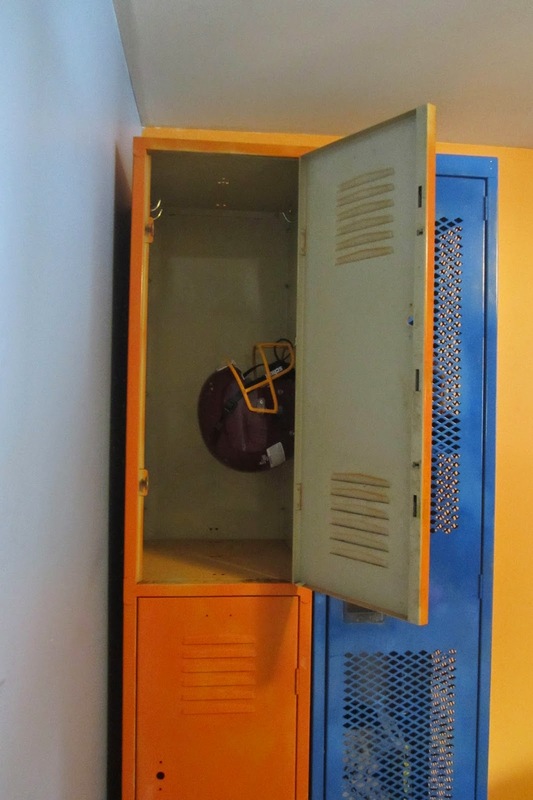 Love, love, love the lockers. Wade's is my favorite, of course. Four rocks. free lockers?! that's like winning the pinterest lottery! i love how these turned out and holla for kids sharing rooms too. we still get the occasional stinkeye when we tell folks that our girls kind of prefer to share. Woohoo to free lockers and to sweet boys sharing a room! Awesome find! 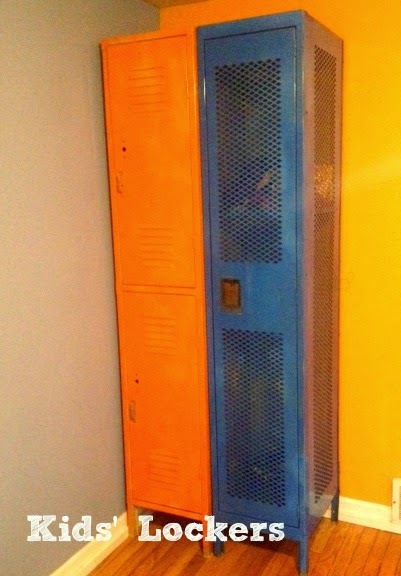 I love old school lockers - we dug some up for a Nike event YEARS ago, so fun! I absolutely loved this post - and now the whole series! So fun! Love what I see so far!